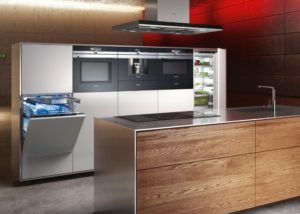 We are proud to have been recognised as an Elite Kitchen Specialist by Siemens due to the premium kitchen design service that we offer and our ‘high quality’ Southampton kitchen showroom. 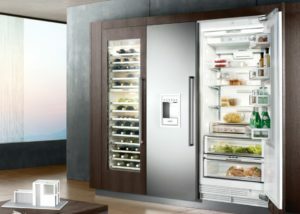 We have the best of Siemens built-in domestic appliances available to us, many of which are exclusive to iQ Design Studios. 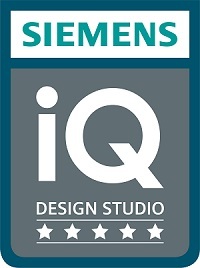 We have designers who have attended Siemens Home Appliances training. 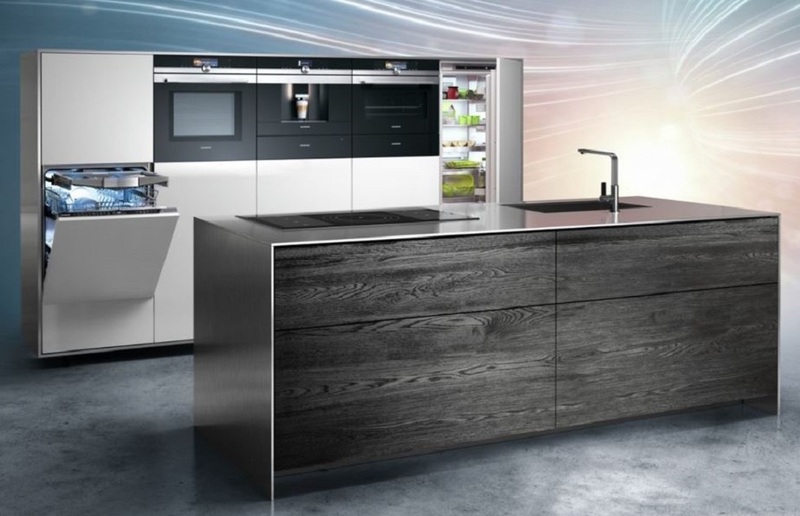 Selected appliances are on show in our high quality Southampton kitchen showroom. We have access to exclusive promotions and live cooking appliance demonstrations for you to try delicious food. 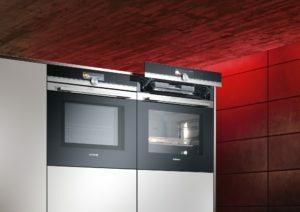 Twice as fast in cominbation: by choosing the integrated microwave function with a conventional cooking option, you can speed up the preparation of your dishes when you need to – without compromising on the quality you would expect. Save up to 50% of your time, to give you the freedom when you require it. Enjoy preparing food without worrying about the consequences. No matter how creative it gets in the oven interior, you no longer need any chemical treatments to get it clean again – only the push of a button. 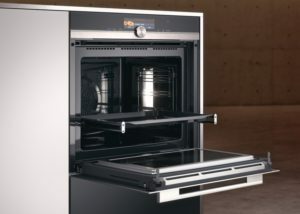 Hassle-free, the oven cleans itself thoroughly with activeClean. It does so by heating up to very high temperatures – turning all residues into ash which can easily be wiped away. 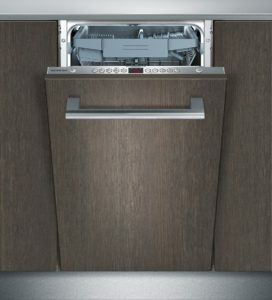 This process is called pyrolysis and is the most convenient and efficient way to clean the whole interior of your oven. A hob that fits in with your lifestyle, flexInduction is no-compromise cooking at its best. 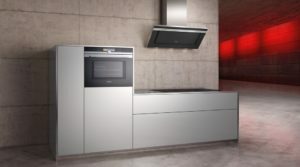 Siemens flexInduction hobs are a must for diverse cooking. The cooking area can be tailored to your needs, enabling you to use a small area as traditional induction hobs with four or five separate zones, for boiling rice, for example, or you can choose to link the zones together to form one zone for larger cooking pans. The new extended cooking surface can accommodate pans of any size, even several pans placed anywhere on the surface at the same time. With all the advantages of induction cooking, flexInduction also includes boost settings, automatic pan recognition and touchSlider controls. Who has time to defrost the freezer? 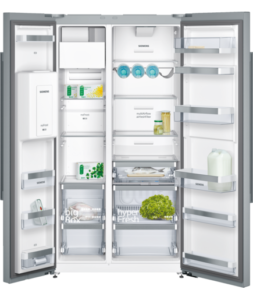 Those with a Siemens noFrost freezer do, because there simply is no need to. Using an air circulation system to remove humidity and stop frost and ice building up on the freezer walls and packaging your freezer will look after istself. No longer will you have to run down you freezer to defrost and remove the ice build-up. Hassle free, you can enjoy fresher food, no more soggy packaging and a frost free freezer for life.